As you would expect from a country that has seen an influx of foreign immigrants over the years, Amsterdam has a rich and diverse culinary heritage that can be found in the hundreds of globe-spanning cafes and restaurants which line the city’s streets. From baguettes to fine dining, there is food for everyone, and every moment. Traditional Dutch restaurants sit alongside Japanese, Mediterranean and Ethiopian Restaurants. Fresh fish restaurants are also very popular and have are well stocked with fresh produce to suit all tastes. Where you dine can be just as important as what you eat, and Amsterdam offers venues large and small, traditional and modern, cheap and expensive. Sometimes the choice can be a little overwhelming so here are a few venues that we think you should check out during your visit. Dining on the river is a popular past-time in Amsterdam and is a great way to experience the unique atmosphere that the waterways bring to the ambient night-life. Moored at the Eastern Docks of Amsterdam you will find the Odessa merchant Ship, now a restaurant and dance venue and perfect for a romantic night out. 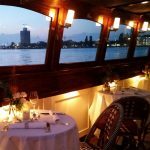 Or if you like a little more adventure with your dining experience why not take the free ferry from Amsterdam Central Station to the IJ-Kantine restaurant, on the Northern Harbour. This brasserie offers a superb menu range, as well as amazing views across the water. 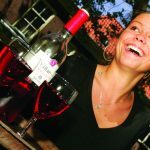 If you fancy cruising while you dine, visit www.canal.nl for a range of cruise experiences that include dining. This former set of greenhouses, with its huge glass windows, used to belong to the Amsterdam Municipal Nursery and dates back to 1926. It prides itself on serving fresh produce, most of which is home grown. Outside dining is also available, weather permitting. 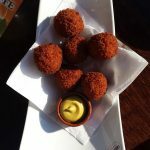 Visit www.restaurantdekas.nl for menu options and more information. 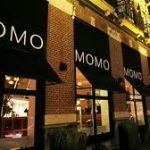 “Timeless, cosmopolitan and sparkling”, located on the ground floor of the Park Hotel, Momo offers Far Eastern flavours and recipes in a stylish and intimate setting. 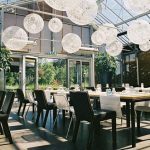 If award-winning food is what you crave, then look no further than the Restaurant Sinne. 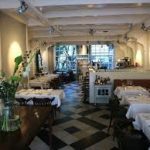 Classic French cuisine and Mediterranean recipes with a modern twist are on offer in abundance at the Michelin renowned restaurant, which lies in De Pijp area of Amsterdam. 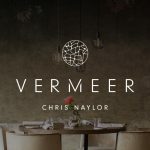 Another Michelin starred restaurant that is worth a visit is the Vermeer which has a reputation for using local Dutch ingredients such as beetroot and prawns in inspired culinary creations. A boutique restaurant set up by Chef Sonja Pereira, who emigrated to the Netherlands in 1985 and opened this boutique restaurant to “revive the splendor of festive Indonesian cooking”. “Blue Pepper brings back to life what a royal Indonesian feast tasted like. Avoiding an extensive menu as well as ‘’simple’’ home cooking, Sonja focusses on a small selection of obsessively prepared dishes that change seasonally. Located in an Amsterdam canal house, dating back to 1628, L’invite specialises in French, artisanal cuisine and organic/vegetarian creations. In the summer months you are able to dine on the waterside terrace. Growing from its humble beginnings as a tapas bar, the French Connection is now a popular destination for groups or couples who love good food. Chef Jef van den Hout has transformed the bar into a home of modern French cuisine. 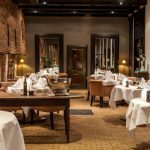 This Michelin star winning restaurant offers an intimate and historic setting in which to taste the French creations of Executive Chef Dennis Kuipers. The classic yet contemporary style French cuisine is described as “exciting, modest and refined”. Located on the 23rd floor of Hotel Okura Amsterdam, this restaurant offers spectacular views across the city, alongside a spectacular dining experience. 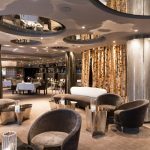 Fine wines and magical culinary creations from this Michelin starred kitchen, combine to offer a unique dining experience. Located in the heart of Amsterdam’s Latin Quarter, De Pijp, the Restaurant Zaza is owned by Ireland’s Susie Roche and is probably the most intimate dining experience you will encounter in Amsterdam. 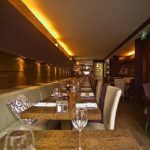 With just 12 tables, it offers a relaxed and friendly atmosphere, with a special emphasis on attention to detail and great customer service. Offering an International menu, here you can sample home-made culinary delights, influenced by Asia, France and Mediterranean recipes. 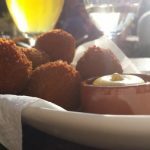 This wine bar and restaurant is a must visit location for all food lovers who enjoy experimenting with tastes and do not want to take their dining experience too seriously. 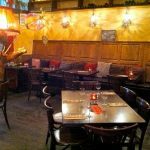 Restaurant Tomaz is a cosy venue that features traditional and contemporary Dutch recipes, all prepared by Tomaz himself.